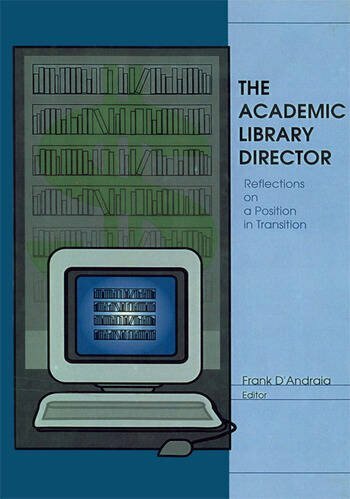 The Academic Library Director: Reflections on a Position in Transition addresses the changing nature of work and the new demands being placed on academic library directors. The authors’broad range of professional experience offers you unique insight on a management position that is truly in transition. Get inside seasoned professionals’heads to save time, effort, and money for yourself and your library. See what these experienced directors did right . . . and learn from their mistakes. Considers the challenges of leading an academic library through the transition period between permanent directors; lists the challenges met by interim directors and presents their advice for succeeding in this difficult role. Studies the career paths for academic library directors based on a survey of 21 library directors across the country, with a focus on factors such as gender, education, age, tenure, professional experience, and internal vs. external candidates. Identifies critical criteria for recruiting library leaders for the 21st century. Should your library hire a manager or a leader? Provides a unique, non-librarian perspective on the establishment of a newly configured position of Vice Provost for Information and Dean of University Libraries at a large university. Discusses the perceptions recently appointed academic library directors have about collegiate life vis à vis the realities they’ve encountered since assuming their positions. Shows how a library can thrive in a not-for-profit culture by embracing for-profit principles. The Academic Library Director: Reflections on a Position in Transition will help prepare you and your library for the only sure thing in the future--change. Successful library directors will be the ones who can recognize and thrive on the “management of change.” Unsuccessful directors will find themselves unable to adapt. Use this book to ensure your library comes out on the right side of the line. Director’s Challenge: Academic Libraries, Risky Business or A Business at Risk?